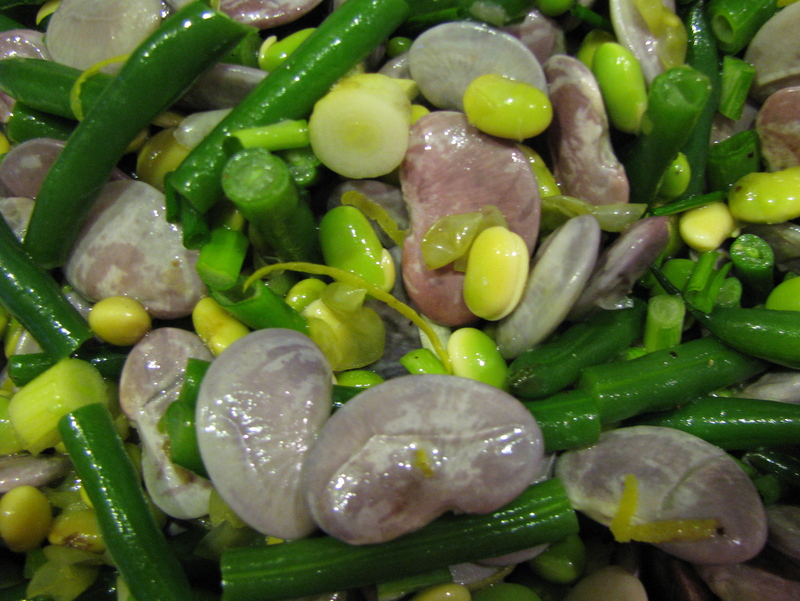 Firstly a three bean salad made with the three types of beans I bought from the farmers market last weekend; christmas lima beans, edamame and green beans. I added some lemon zest, an idea I poached from a Heidi Swanson recipe (more about that later). The lemon zest gave it a real lift. I also used a bunch of delicate scallions, also from the market and a simple lemon and olive oil dressing with a bit of another left over dressing I wanted to use up. Definitely worth making a day in advance as it improved after it had marinated overnight. 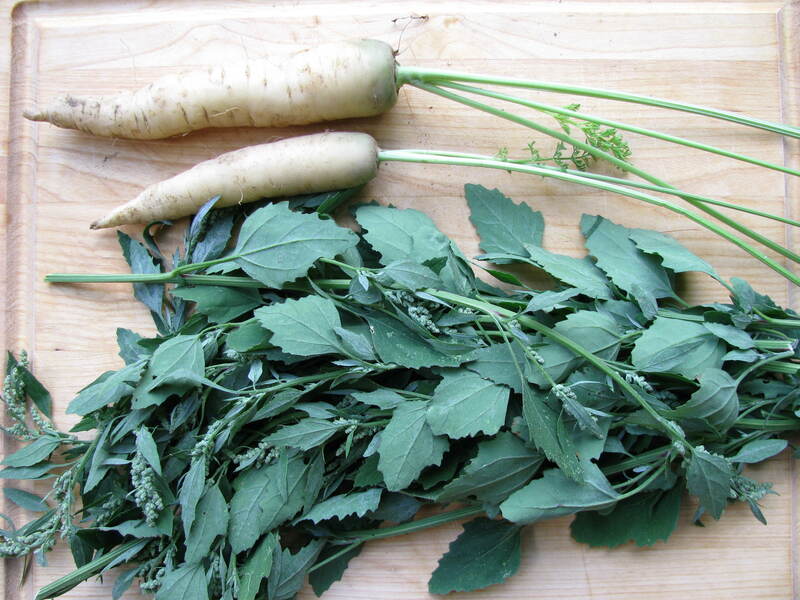 Next was my first ‘new’ green of the week, lamb’s quarters (aka fat hen), which is a weed although I don’t know why it isn’t used more- it is fantastic. I used some of these raw with salad and really liked the taste and the appearance. It is so pretty. According to all the websites I consulted, you can use them as you would spinach. 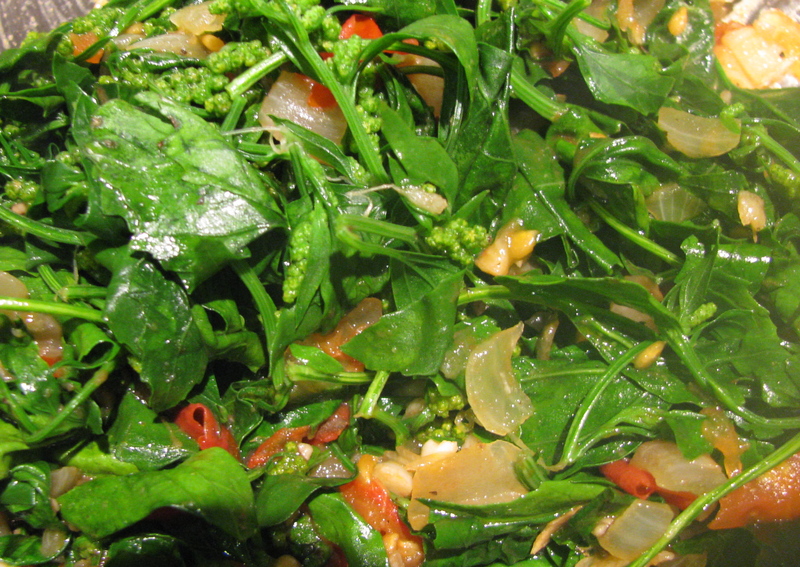 I actually preferred it to spinach as it doesn’t go as mushy or watery as spinach often seems to. Here are some of the best links: Eat local challenge, Life begins @ 30, Mental masala. As I had some tomatoes from the garden to use I decided to adapt a Veganomicon recipe for sautéed spinach and tomatoes. 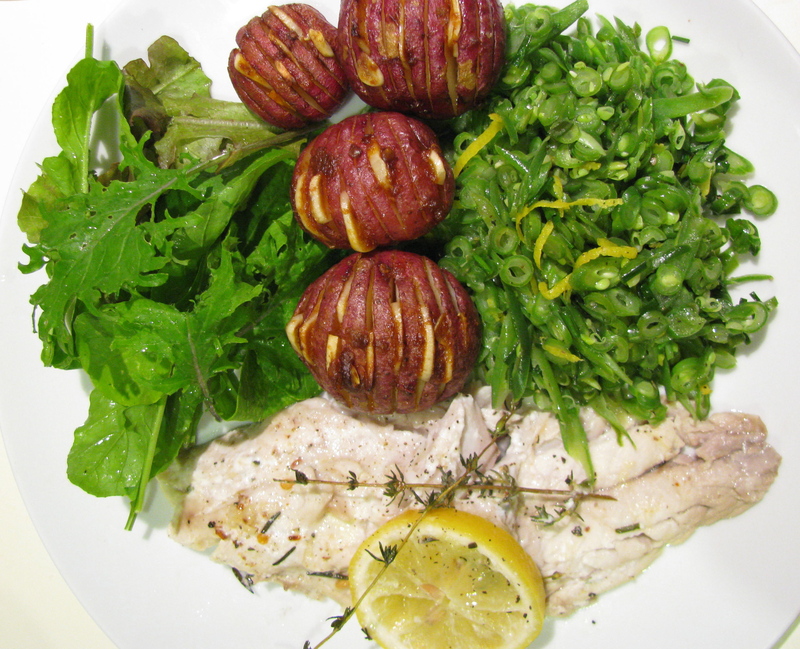 It was fantastic – easy, tasty and I will definitely use it again. You sauté onions, garlic, ginger and salt in peanut oil. Add some chopped tomato, saute for a couple of minutes, add the greens and a splash of water and then sprinkle with some lemon or lime juice before you serve it. I guessed at the quantities. It would, as the authors suggest, go well with any indian or asian dish. In this case I ate it with a omelette made from the wonderful Toad Hill eggs. The bags of fresh herbs inspired me to bake some fish and it was also a good excuse to try a recipe from my new cook book ‘Super Natural Cooking’ by Heidi Swanson, who has the website 101 Cookbooks. I wanted to try her baked purple hedgehog potatoes. I had some lovely deep red new potatoes from the market I thought would work well. The recipe for hedgehog potatoes is already online on serious eats. I highly recommend trying it. You make lots of little cuts in the potato that fan out and look (sort of) like a hedgehog. In the book Heidi says that you can thread all sorts of goodies between the slices to add flavor. I was happy with this recipe because I finally found another use for some of my harissa paste. They were really tasty and I will definitely make them again. I think they need a bit longer to cook than she said, but I guess it depends a lot on the size of the potatoes and your oven. I didn’t make the yoghurt dipping sauce she suggests. I also tried Heidi’s recipe for shredded green beans with lemon-lime zest and snipped chives. It is an easy recipe with the novelty (for me) of slicing the beans in a food processor to make little circles. This did make a vegetable I eat a lot seem different. I think next time I would add a little lemon juice as well. They were good cold the next day too. Below you can see the assembled meal, accompanied by some mesclun greens from my garden. I have been trying to satisfy a craving for crispy duck and after a fair amount of internet research and consulting with friends, we set off for a chinese restaurant we had been told was really good. The destination was Little Dragons’ on Morse road. My research obviously wasn’t thorough enough as we got there to find that they don’t serve duck. Slight snafu, but we decided to stay and try some of the other dishes my friend had recommended. The proprietor was very helpful as well, explaining quite a few of the dishes to us and making suggestions. 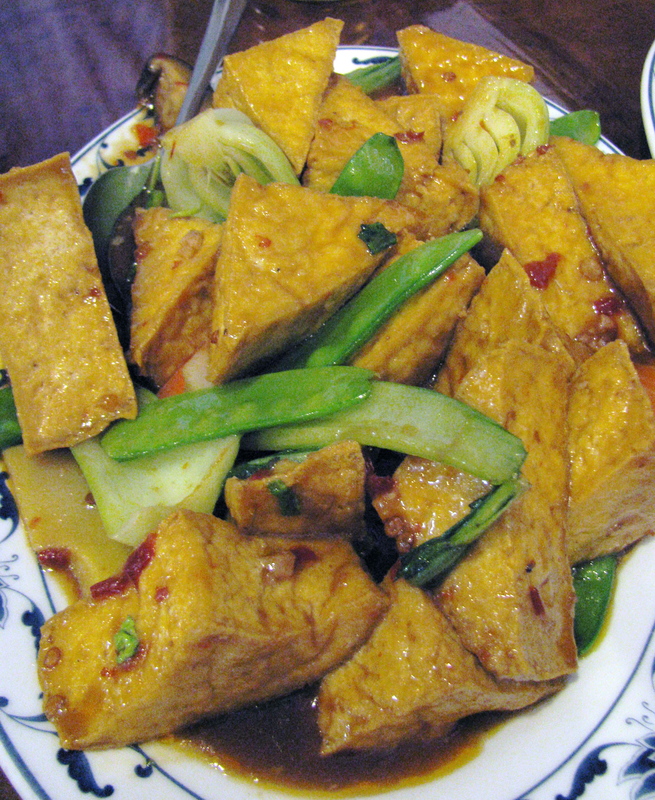 We ended up with crispy squid, very spicy and salty and great when it was hot and crunch; hunan beef; home-style bean curd and pea leeks. We were also recommended, but didn’t try the pork chop and the fish in black bean sauce. I had never had pea leeks before and I really liked them. Very fresh and delicious. 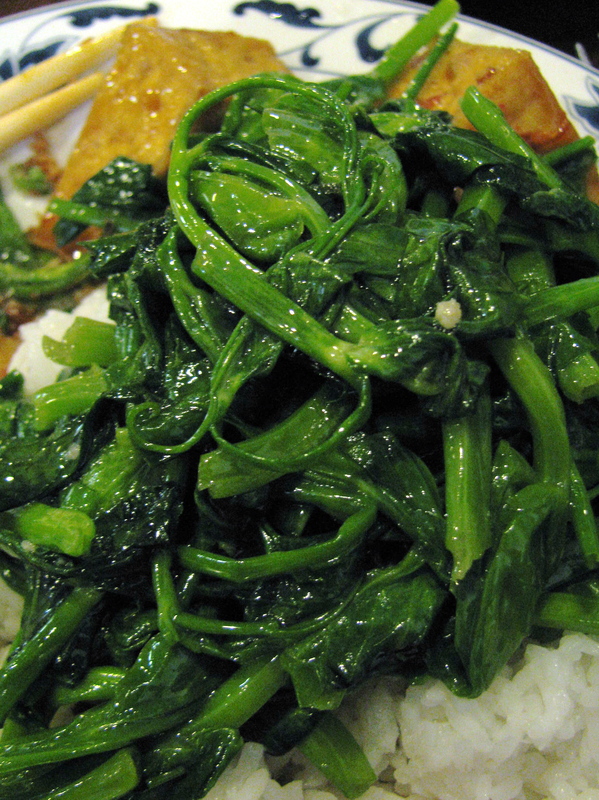 They are in fact pea shoots (usually snow pea shoots) and are a chinese delicacy. I will definitely be looking out for them on menus as I usually end up eating chinese broccoli or green beans and I am a fan of stir fried vegetables. Little Dragons’ is an unassuming restaurant hidden in a strip mall. It was very quiet when we were there apart from a steady stream of take out customers. 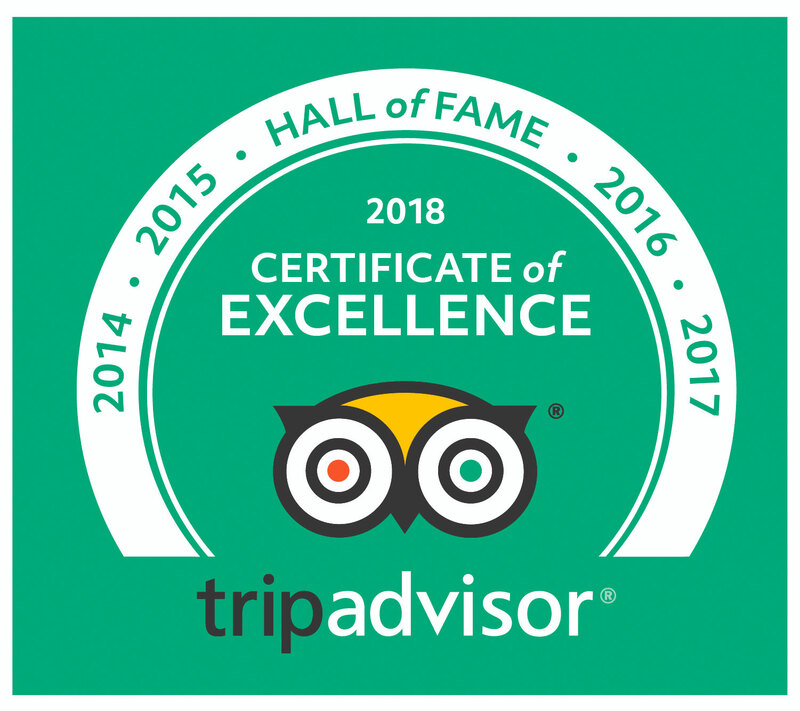 The food was good and the service attentive but the cheesy ring tone of the take-out line was off-putting and if I went again I would try and hit a busy time when there is enough din to drown it out. Another review of Little Dragons’ on CMH Gourmand. The Crispy duck craving will have to be sated another day.